Abstract：As targets are highly variable complex reservoirs, the difficulty of hydrocarbon exploration has been gradually increasing. Taking into account the wavefield information of both primary and shear waves, images with high resolution could be obtained by using the migration method of converted waves, which can help lithology identification, reservoir prediction and reservoir characterization. However, by far only the information of the primary wavefield is widely utilized in migration, which results in many drawbacks of the primary migration method especially when the prospecting area is complex.#br#On the basis of the anisotropic acoustic ray tracing algorithm, we derive the equations and develop a ray tracing algorithm of converted waves for an anisotropic medium. Furthermore, we summarize the imaging formula of converted waves in the angle domain for this medium.#br#Using this algorithm, we propose a Gaussian beam migration imaging method of converted waves in the angle domain for anisotropic VTI media. Numerical experiments on fault-block and complex structural models have verified its accuracy and efficiency. Besides, the proposed method is not only more efficient compared with the anisotropic Gaussian beam migration imaging method put forward, but also more accurate in comparison with the isotropic Gaussian beam migration imaging method. Moreover, the result of angle domain common imaging gathers could also provide useful information for migration velocity analysis. Alkhalifah T. 1995. Gaussian beam depth migration for anisotropic media. Geophysics, 60(5):1474-1484. Bi L F, Qin N, Yang X D, et al. 2015. Gauss beam reverse time migration method for elastic multiple wave. Geophysical Prospecting for Petroleum (in Chinese), 54(1):64-70. Brandsberg-Dahl S, De Hoop M V, Ursin B. 1999. The sensitivity transform in the common scattering-angle/azimuth domain.//61st Ann. Conf., Eur. Assn. Geosci., Eng. Expanded Abstracts, 1715-1718. Červený V. 1972. Seismic rays and ray intensities in inhomogeneous anisotropic media. Geophysical Journal International, 29(1):1-13. Červený V, Pšeník I. 1983. Gaussian beam in two-dimensional elastic inhomogeneous media. Geophysical Journal International, 72(2):417-433. Claerbout J F. 1971. Toward a unified theory of reflector mapping. Geophysics, 36(3):467-481. De Bruin C G M, Wapenaar C P A, Berkhout A J. 1990. Angle-dependent reflectivity by means of prestack migration. Geophysics, 55(9):1223-1234. Duan P F, Cheng J B, Chen A P, et al. 2013. Local angle-domain Gaussian beam prestack depth migration in a TI medium. 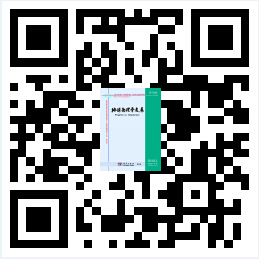 Chinese Journal of Geophysics (in Chinese), 56(12):4206-4214, doi:10.6038/cjg20131223. Duan X Y, Li Z C, Huang J P, et al. 2014. A prestack Gaussian beam depth migration in common-shot domain for anisotropic media. Geophysical Prospecting for Petroleum (in Chinese), 53(5):579-586. Fomel S. 2004. Theory of 3-D angle gathers in wave-equation imaging.//74th Ann. Internat Mtg., Soc. Expi. Geophys. Expanded Abstracts, 1053-1056. Gray S H. 2005. Gaussian beam migration of common shot records. Geophysics, 70(4):S71-S77. Han J G, Wang Y, Xing Z T, et al. 2014. Gaussian beam prestack depth migration of converted wave in TI media. Journal of Applied Geophysics, 109:7-14. Hanyga A. 1988. Gaussian beams in anisotropic elastic media. Geophysical Journal, 85(3):473-504. Hill N R. 1990. Gaussian beam migration. Geophysics, 55(11):1416-1428. Hill N R. 2001. Prestack Gaussian beam depth migration. Geophysics, 66(4):1240-1250. Huang X D, Yang W X.2008. Converted Wave Seismic Exploration. Beijing:Petroleum Industry Press, 1-261. Huang J P, Yuan M L, Li Z C, et al. 2015. Accurate elastic beam migration method without slant stack for complex surface and subsurface geological conditions. Geophysical Prospecting for Petroleum (in Chinese), 54(1):56-63. Li Z C, Yue Y B, Guo C B, et al. 2010. Gaussian beam common angle preserved-amplitude migration. Oil Geophysical Prospecting (in Chinese), 45(3):360-365. Liu Q, Zhang M, Li Z C, et al. 2016. Common-shot domain Gaussian beam migration in anisotropic media. Oil Geophysical Prospecting (in Chinese), 51(5):930-937. Liu Y, Wei X C. 2003. Some problems and strategies in converted-wave seismic exploration. Progress in Exploration Geophysics (in Chinese), 26(4):247-251, 267. Prucha M L, Clapp R G, Biondi B. 2000. Seismic image regularization in the reflection angle domain. Stanford Exploration Project, 103(2):725-739. Qin N, Wang Y G, Yang X D, et al. 2015. Gaussian beam reverse time migration and application. Progress in Geophysics (in Chinese), 30(2):658-663, doi:10.6038/pg20150224. Rosales D A, Fomel S, Biondi B L, et al. 2008. Wave-equation angle-domain common-image gathers for converted waves. Geophysics, 73(1):S17-S26. Sava P C, Fomel S. 2003. Angle-domain common-image gathers by wavefield continuation methods. Geophysics, 68(14):1065-1074. Stewart R R, Gaiser J E, Brown R J, et al. 1999. Converted-wave seismic exploration:a tutorial. Geophysics, 67(5):1348-1363. Tsvankin I. 2001. Seismic Signatures and Analysis of Reflection Data in Anisotropic Media. Pergamon Press, Inc, 1-436. Wu G C. Seismic wave propagation and imaging in anisotropic media. Dongying:China University of Petroleum Press, 2006:1-293. Xu S Y. 2002. On Imaging of converted reflections (in Chinese). Shanghai:Tongji University. Xie X B, Wu R S. 2002. Extracting angle domain information from migrated wavefield.//72nd Ann. Internat Mtg., Soc. Exp. Geophys. Expanded Abstracts 1360-1363. Xu P C, Parra J O. 1998. A parametric study of synthetic dipole logging data in azimuthally anisotropic formations.//68th Ann. Internat. Mtg., Soc. Exp. Geophys. Expanded Abstracts, 260-263. Xu S, Chauris H, Lambaré G, et al. 2001. Common-angle migration:A strategy for imaging complex media. Geophysics, 66(6):1877-1894. Xu S B, Yue Y B, Wang S J. 2014. Elastic Gaussian beam pre-stack depth migration. 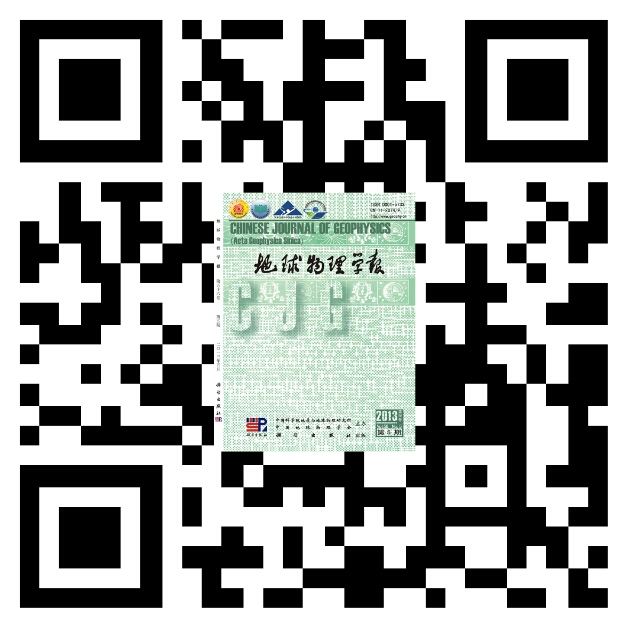 Oil Geophysical Prospecting (in Chinese), 49(2):259-265, 287, doi:10.13810/j.cnki.issn.1000-7210.2014.02.007. Yue Y B. 2011. Study on Gaussian beam migration methods in complex media (in Chinese). Qingdao:China University of Petroleum (Huadong). Zhang K, Duan X Y, Li Z C, et al. 2015. Angle domain reverse time migration with Gaussian beams in anisotropic media. Oil Geophysical Prospecting (in Chinese), 50(5):912-918. Zhu T, Gray S H, Wang D L. 2007. Prestack Gaussian-beam depth migration in anisotropic media. Geophysics, 72(3):S133-S138. 毕丽飞, 秦宁, 杨晓东等. 2015. 弹性多波高斯束逆时偏移方法. 石油物探, 54(1):64-70. 段鹏飞, 程玖兵, 陈爱萍等. 2013. TI介质局部角度域高斯束叠前深度偏移成像. 地球物理学报, 56(12):4206-4214, doi:10.6038/cjg20131223. 段新意, 李振春, 黄建平等. 2014. 各向异性介质共炮域高斯束叠前深度偏移. 石油物探, 53(5):579-586. 黄建平, 袁茂林, 李振春等. 2015. 双复杂条件下弹性波非倾斜叠加精确束偏移方法研究. 石油物探, 54(1):56-63. 黄绪德, 杨文霞. 2008. 转换波地震勘探. 北京:石油工业出版社, 1-261. 李振春, 岳玉波, 郭朝斌等. 2010. 高斯波束共角度保幅深度偏移. 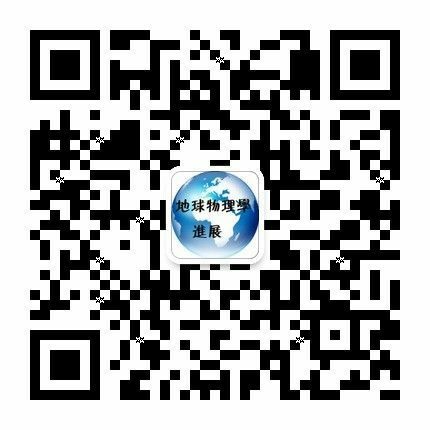 石油地球物理勘探, 45(3):360-365. 刘强, 张敏, 李振春等. 2016. 各向异性介质共炮域高斯束偏移. 石油地球物理勘探, 51(5):930-937. 刘洋, 魏修成. 2003. 转换波地震勘探的若干问题与对策. 勘探地 球物理进展, 26(4):247-251, 267. 秦宁, 王延光, 杨晓东, 等. 2015. 高斯束逆时偏移方法及应用. 地球物理学进展, 30(2):658-663, doi:10.6038/pg20150224. 吴国忱. 2006. 各向异性介质地震波传播与成像. 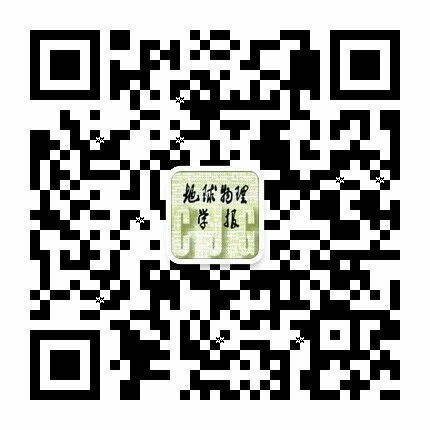 东营:中国石油大学出版社, 1-293. 徐少波, 岳玉波, 王仕俭. 2014. 弹性波高斯束叠前深度偏移. 石油地球物理勘探, 49(2):259-265, 287, doi:10.13810/j.cnki.issn.1000-7210.2014.02.007. 张凯, 段新意, 李振春等. 2015. 角度域各向异性高斯束逆时偏移. 石油地球物理勘探, 50(5):912-918. 杨溢, 常利军. 2017年九寨沟MS7.0地震震源区横波分裂变化特征[J]. 地球物理学报, 2018, 61(5): 2088-2098. 李维新, 崔炯成, 武文来, 刘一峰, 夏庆龙, 石莹, 江南森, 黄小刚, 张云鹏, 薛东川. 中海油多分量地震处理技术的发展与应用实例[J]. 地球物理学报, 2018, 61(3): 1136-1149. 岳玉波, 李振春, 钱忠平, 孙鹏远, 杨雪霖, 薛贵仁. 转换波Kirchhoff叠前时间偏移的成像优化方案[J]. 地球物理学报, 2018, 61(3): 1188-1195. 董一兵, 倪四道, 李志伟, 孟立朋, 朱音杰, 刘新. 基于近震转换波的沉积层地区震源深度测定方法[J]. 地球物理学报, 2018, 61(1): 199-215.